This is a collaborative event in partnership with the Nonprofit Leadership Initiative and the Community Foundation for the Fox Valley Region. Kathyrn received her undergraduate degree from Emory University and her law degree from The University of Alabama School of Law. She spent 15 years in various positions in the Trust Division of AmSouth Bank before joining Sterne, Agee & Leach to established its trust company and serve as its President & CEO. 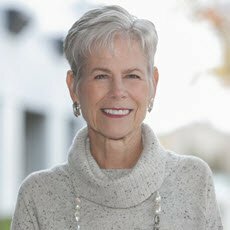 In 1997 she established Kathryn W. Miree & Associates, Inc.
Kathryn has been actively professionally as past president of the National Committee on Planned Giving, past president of the Alabama Planned Giving Council, and past President of the Estate Planning Council of Birmingham. She was inducted into the National Association of Charitable Gift Planners Hall of Fame in 2018. In her community Kathryn has served as Chair of the Community Foundation of Greater Birmingham, Chair of United Way of Central Alabama, and Chair of The Altamont School as well as serving in various capacities on more than twenty other nonprofit boards. Kathryn is a frequent lecturer, co-author of The Family Foundation Handbook (CCH Publishers 2014) and author of The Professional Advisor’s Guide to Planned Giving (CCH Publishers, 2006). She has worked with a variety of clients across the country.